Alderney Airport will open for reduced hours for three days in April - due to a shortage of air traffic controllers. On Tuesday 9 April, Monday 15 April and Wednesday 17 April, the airport will open between 08:00 and 13:00 and then from 14:30 until 18:00. Ash Nicholas, the head of aviation services for Guernsey and Alderney airports, says it's due to an "unfortunate overlap". Businessman Zef Eiseinberg accused an ex-worker of leaking confidential information about the building. Guernsey's Home Affairs Committee says Brexit is one of the main reasons behind an overspend in its budget. Policy and Resources say the committee has spent £700,000 more than it should have last year. The announcement of the overspend came last month, but it's taken another month for Home to explain why it occurred. In a statement, Committee for Home Affairs President, Mary Lowe said the overspend was as a result of some "unforeseen changes which emerged in December". She added that one of the reasons behind the committee breaching its budget is a non-recurrent cost in relation to Brexit and the money being spent now will be saved in the future. An investigation by Policy and Resources is under way to look at why the overspend came at such short notice. Royal College of Nursing (RCN) members in Jersey have accepted the mediated pay offer from the States. 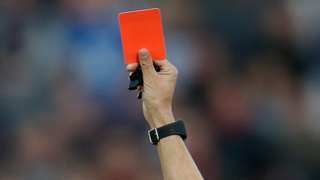 It follows the rejection of an offer in January and the threat of a strike ballot - forcing the States to come up with an improved offer through a mediation process with the Jersey Advisory and Conciliation Service. In a ballot, 53% of eligible RCN members voted and 75% accepted the offer. A "no detriment clause" is also included which means if another pay group is given a better deal, the employer will match it for nurses and midwives. We are pleased to be able to draw a line under this negotiation round which has been bitter and difficult at times. It is a huge disappointment to us that it took the historic step of the threat of a strike ballot to shift the thinking of the States as our position over the months never changed: pay our nurses fairly. World-renowned ballerina, Dame Margot Fonteyn is the subject of a set of six stamps to be issued by Jersey Post. Fonteyn was associated with Jersey through her parents who lived on the island for a number of years. She performed at the Jersey Opera House on two occasions - in 1972 and again in 1976, - where she performed a variety of excerpts from different ballets. The stamps, which celebrate the centenary of Fonteyn’s birth on 18 May 1919, show the ballerina in some of her most famous performances. The road closure at Rouge Rue in St Peter Port will be extended after drain cleaning works identified a collapsed sewer. Emergency works were set to be completed later on an electricity cable fault in the area. However, a collapsed sewer now requires "immediate attention" - forcing the closure to be extended into next week, the States of Guernsey said. From Saturday morning, the bottom section of the road will be closed between St Johns Road and Rougeval Estate. It's not known how long the work will take. 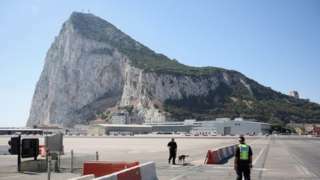 Island Games organisers say uncertainty surrounding Brexit is causing them anxiety ahead of the 2019 event in Gibraltar. Police say a heavily pregnant woman was involved in a car crash in St Brelade on Thursday morning. The car she was driving overturned at what officers described as "the accident blackspot" on La Rue du Pont Marquet at about 08:45. She managed to free herself from the vehicle before the emergency services arrived. Police could not reveal the extent of her injuries. A 16-year-old boy was left with a "serious injury" after a crash in Jersey, police have said. It happened on La Route De St Aubin, St Helier - opposite the West Park apartments - on Thursday at about 07:40. Officers said the boy was riding a blue moped when ti was involved in a crash with a white van. The 53-year-old driver of the van was uninjured. Anyone with information is asked to contact States of Jersey Police on 612 612. Some bus fares in Guernsey will increase from Monday, it has been confirmed. The changes will see the introduction of a £5 around the island fare on the 91 and 92 routes. The £1 cash fare and £2.50 night fares will stay the same. Customers using pre-paid cards will see fares increase by 5p to 60p per journey. Summer 2019 will also see the introduction of contacless payments, the Environment and Infrastructure Committee confirmed. It will be a bright start with a small risk of mist and low cloud. It will be a fine and mainly sunny day, with light northeast winds that may strengthen a little in the afternoon. 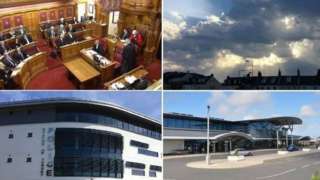 Guernsey politicians have unanimously backed a move to give deputies the final say on registering UK laws locally. The move has been hastened by attempts by MPs to force transparency measures on Guernsey, Jersey and the Isle of Man. Thirty-five deputies backed the move, but five were absent for the vote. Some questioned whether it would be rejected by the UK's Privy Council, which currently rubber stamps island laws before they are registered in Guernsey's Royal Court. Chief Minister Gavin St Pier told the Assembly the island's Procurer had advised that was not the case. The new law will mirror Jersey's which means that any Acts of the UK Parliament or and Order in Council which extends an Act to the island will need to be approved by Guernsey politicians before being registered domestically.